Home > Mortgages > My Mortgage Was Denied – Now What? My Mortgage Was Denied – Now What? 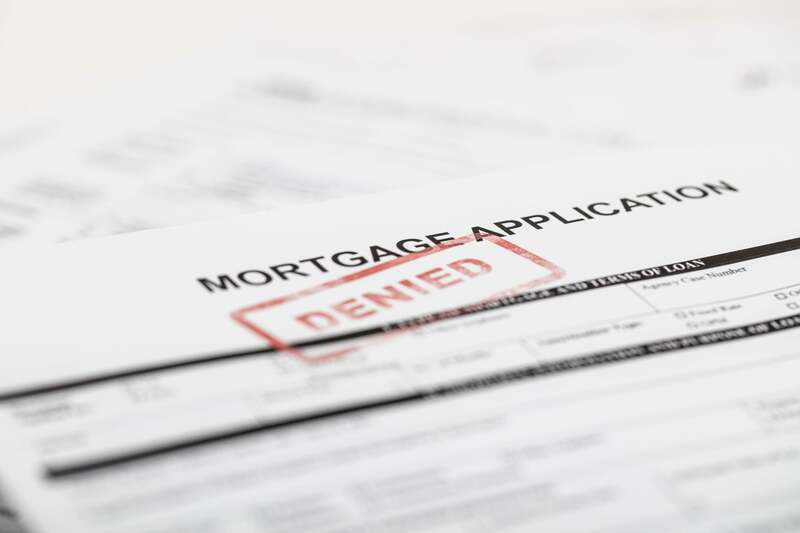 According to data from the Federal Bureau of Consumer Financial Protection, about one out of every nine loan applications to buy a new house (10.8%) and more than one in every four loan applications to refinance a home were denied in 2018. There are lots of reasons someone may be denied for a mortgage. In some cases, the lender has to deem the monetary gift as acceptable. In many cases, you’ll find that the Federal Housing Authority has no issues with these deposits provided you are applying for an FHA loan. This may not be the case with a conventional home loan, but you’ll want to ask your lender. Pay down debt. If your debt to income ratio is too high, see what you can do about paying down debt. Once you’ve paid down more debt, you can consider reapplying again. Find ways to earn more. In addition to your regular job, you could find other ways to earn more more money. You can get a side gig or see if you can make a compelling enough case to get a raise at work. If you want to improve your credit, sign up for a free account with Credit.com now. We offer two credit scores and tips to improve different parts of your credit so that you can get in shape to buy your dream home.